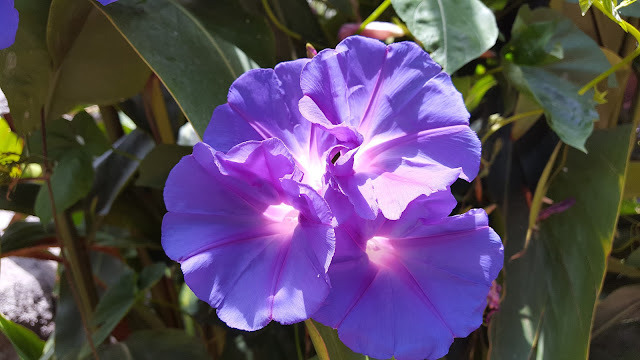 The Morning Glory - Ipomoea species and cultivars, is a large genus containing a number of exceptionally ornamental annual climbers. Native throughout the tropical and subtropical regions of the world the genus includes herbaceous perennials, lianas, shrubs and small trees. However it is the twining climbing plants that are of most value to the ornamental garden. Perhaps the most popular of all species is Ipomoea purpurea, the Purple, Tall, or Common Morning Glory native to Mexico and Central America. 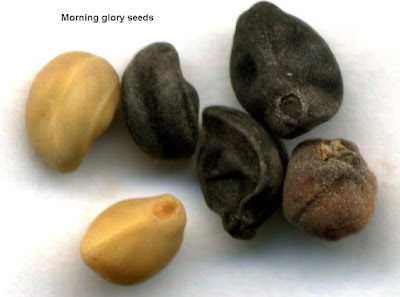 Morning glory seeds will need to be sown under protection early in the year in March to April to make the most of their flowering period over the summer. Ipomoea seeds have an inbuilt dormancy so notch or nick the thick coat of the seed and soak overnight in tepid water before sowing. Using a good quality compost such as John Innes 'Seed and Cutting' sow the seed, 1/8 inch deep in biodegradable pots (at a rate of one seed per pot) and cover with a thin layer of horticultural grit, perlite or vermiculite. Place the pots in a propagator or seal inside a clear polythene bag. Move the pots to a warm bright area such as a windowsill, and keep at a temperature between 20-25 degrees Celsius. Make sure the pots receive as much light as possible as the seeds need light to initiate germination. 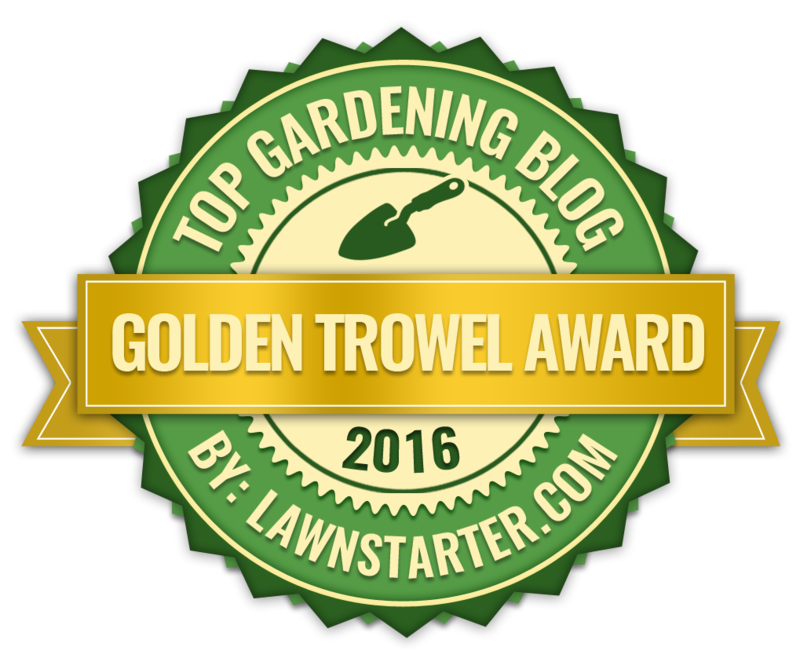 Keep the surface of the compost moist but not waterlogged. You can expect to see the seedlings emerge any time between 7-30 days. Ipomoea plants do not like to have their roots disturbed which is why biodegradable pots are the preferred choice. When they reach about 6 inches in height you will need to gradually acclimatise plants to cooler conditions for a couple of weeks before planting out in their final position outside. Plant the entire biodegradable pot in the ground in a position that receives as much sun as possible, however they can only be planted after all risk of frosts have gone.